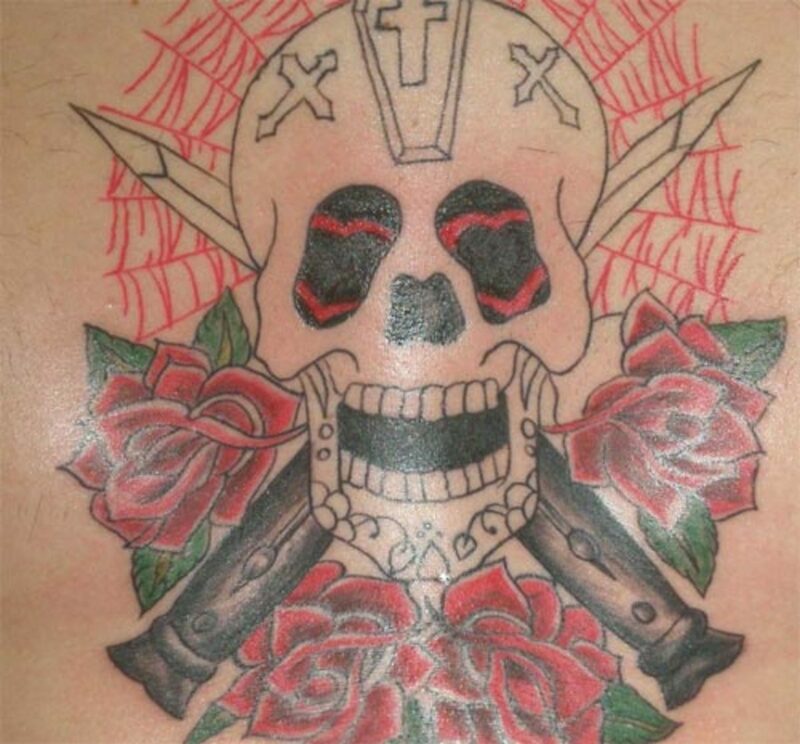 One of the more popular tattoo designs would include skulls. Skulls can serve a number of symbolic purposes. The most common being of death and mortality. 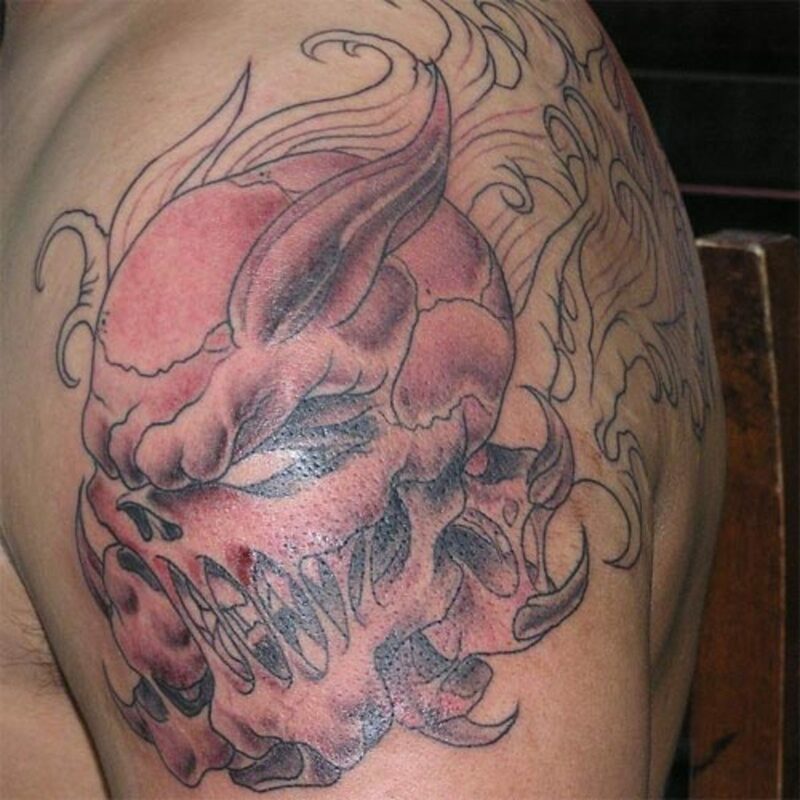 However, one can use the image of a skull to symbolize various things. A past life, now changed, never to revert. Although, at first glance, they may appear to resemble a gothic, negative, or some such image, they do not always mean what they resemble. 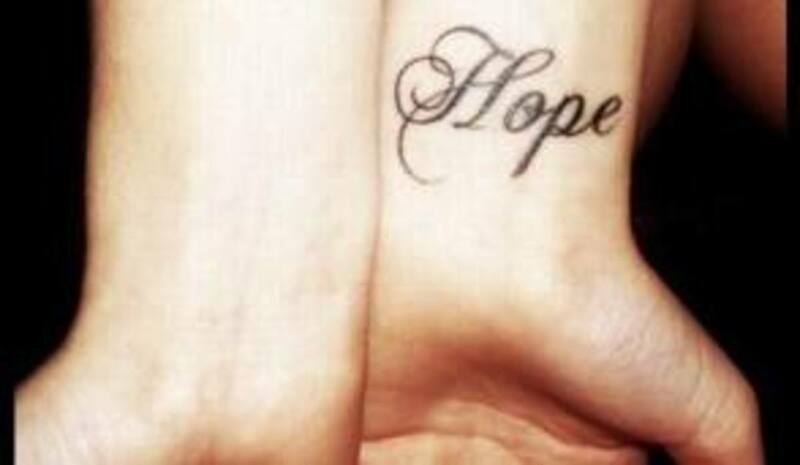 The meaning behind a word is just as strong as a meaning behind an image. 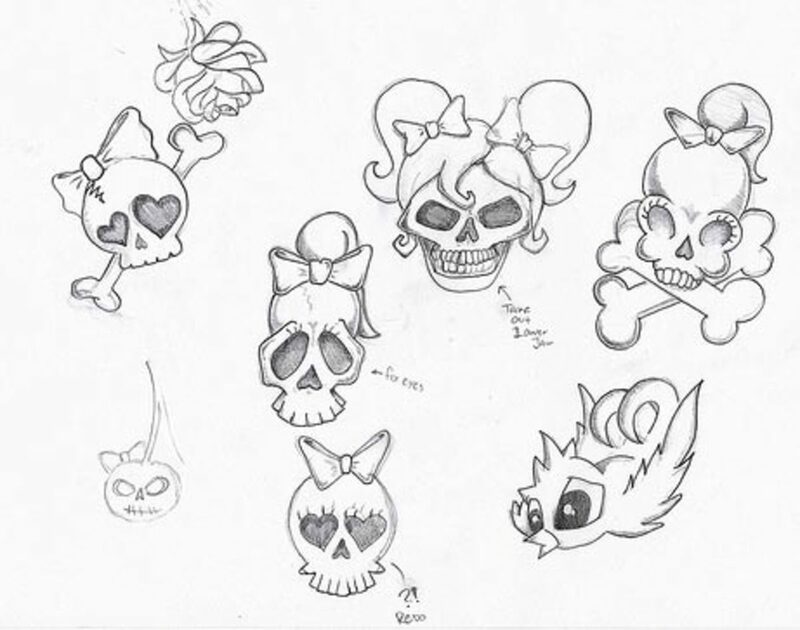 Skulls can be drawn as cutesy doodles, demonic spirits, celebrations, etc. 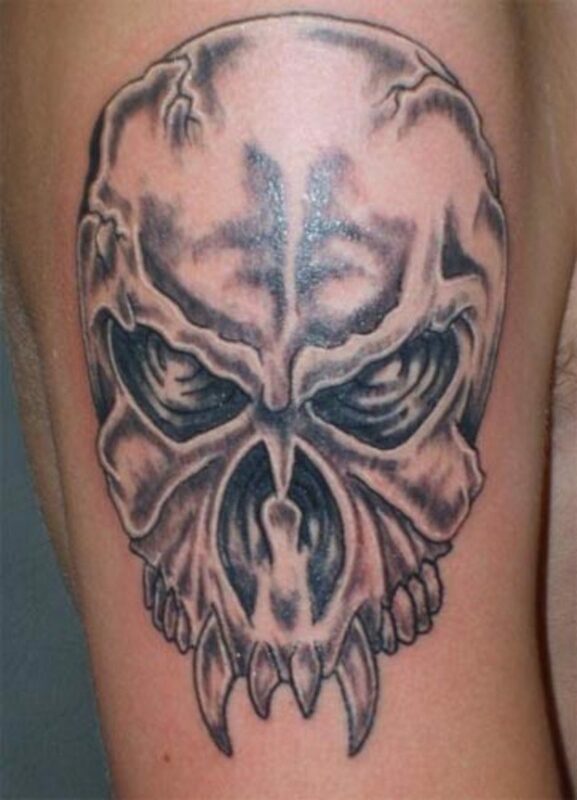 Each person that chooses to have a skull tattooed on his/her body has a reason and a meaning. 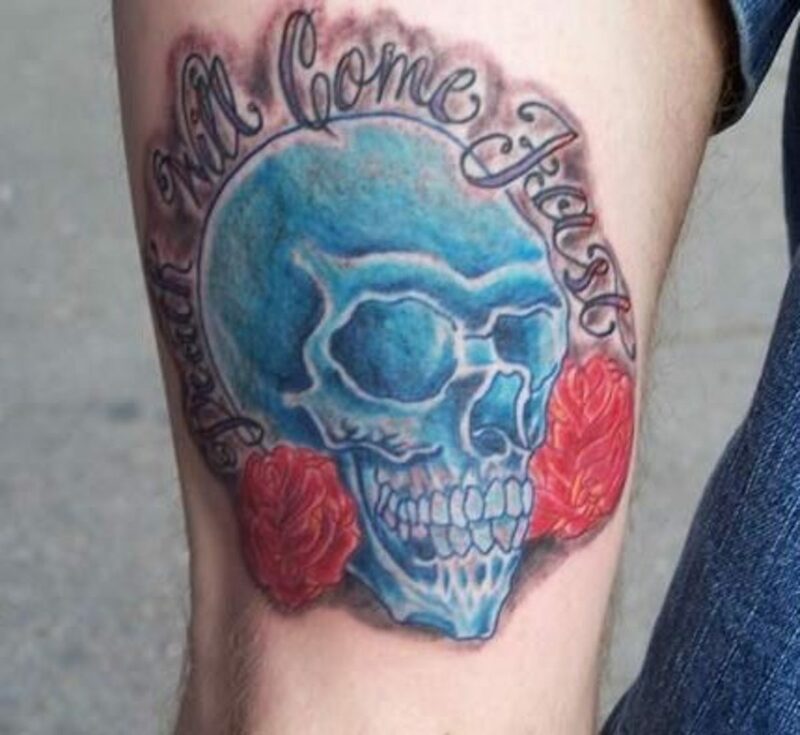 Not every case of a skull tattoo is meaningful, but in many can be. 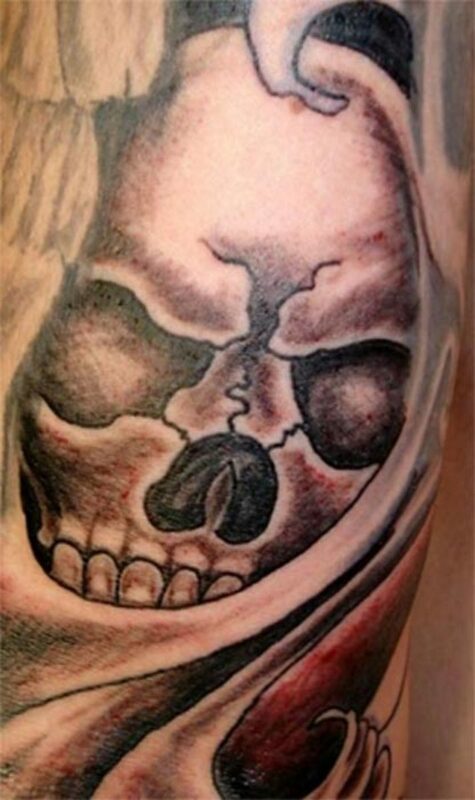 Not all skulls have to be masculine, demonic, or of the average skull tattoo design. You may be interested in a more feminine design. 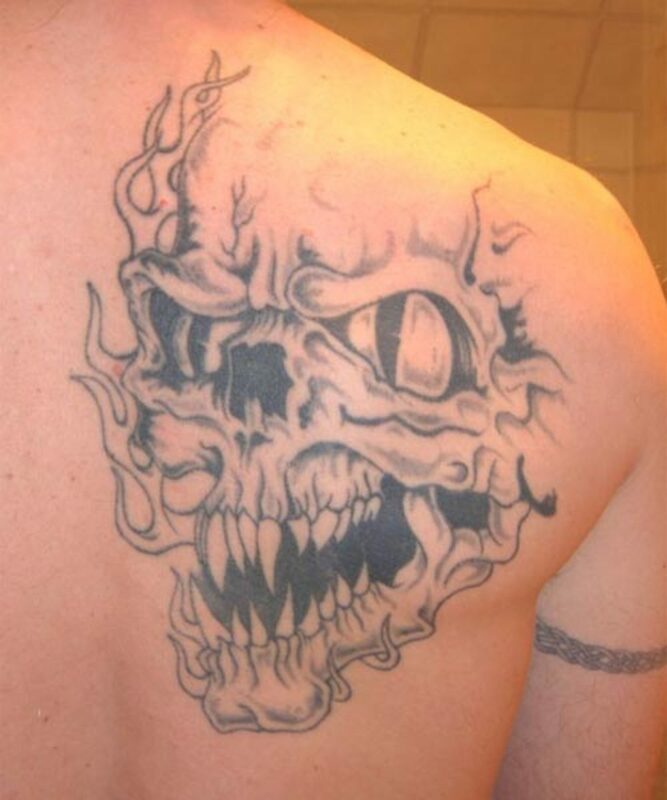 Many women may even prefer it to the more demonic skull looks. The Day of the Dead holiday is celebrated in Mexican cultures on November 1st and 2nd. November 1st, All Saint's Day, is a celebration of the children and infants that have died throughout the year, whereas Novemeber 2nd is All Soul's Day, which is the celebration of all adults who have died. The most common symbol of the holiday is the skull, which is represented by masks, called calacas, and sugar skulls. 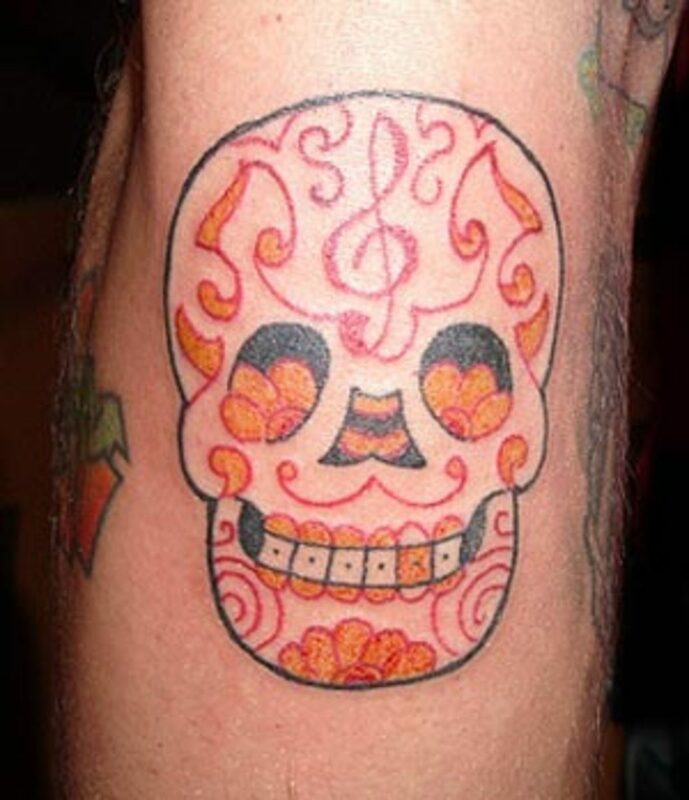 Some people get a Mexican Day of the Dead skull to some decorated extent tattooed on their person to express a death or maybe even a renewal. 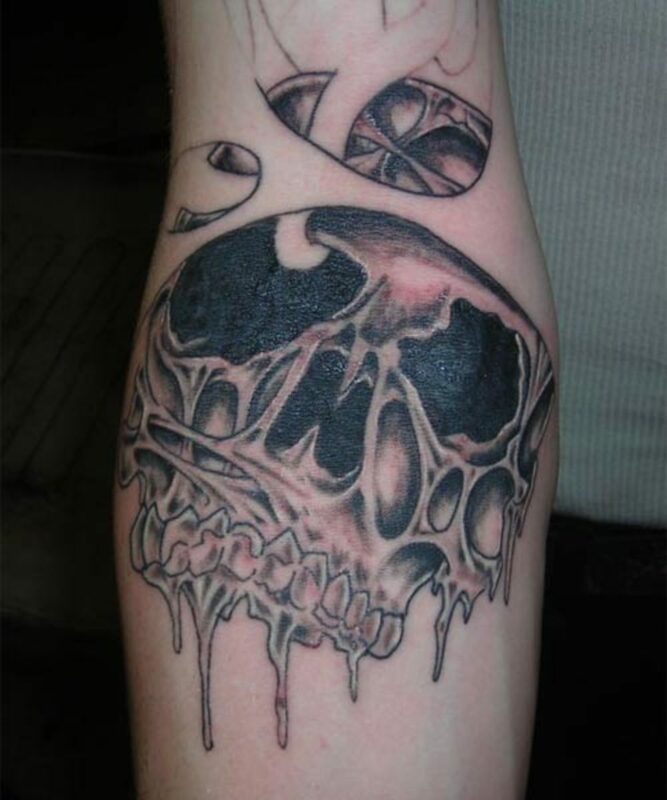 In many cases, skulls can be highly decorated with various objects and symbols. 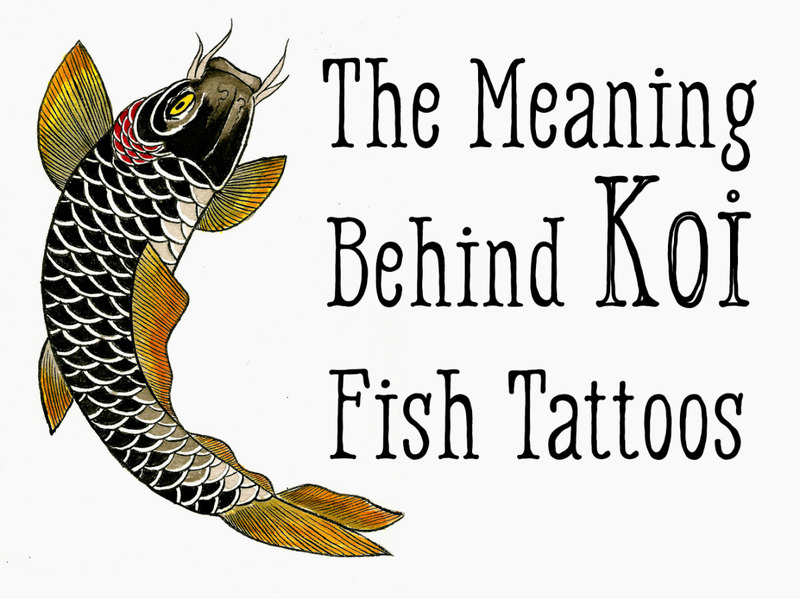 As each tattoo on every individual person will mean something different, the symbols and designs around it will also vary. Flowers can symbolize a number of thoughts and emotions. 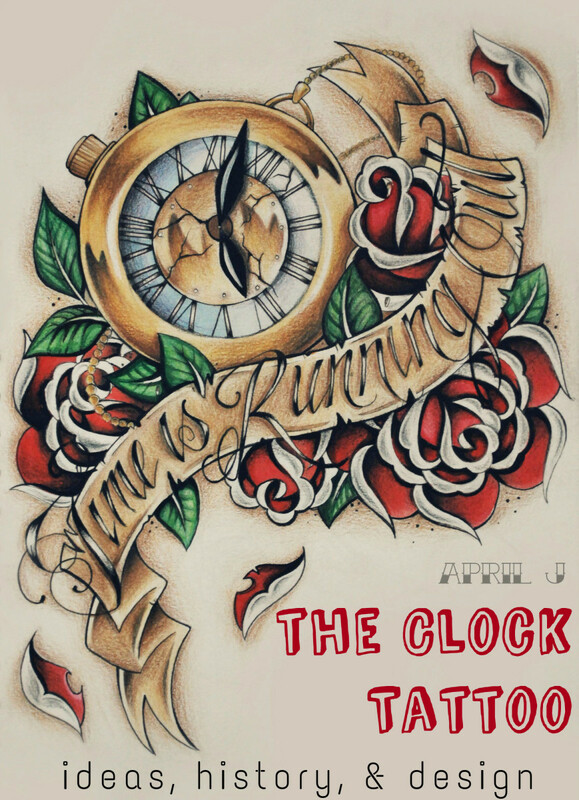 As the minute of a difference of a white rose to a yellow to a red rose; each means something different. The comparison of a tulip with a daisy to a pansy will all mean something different. 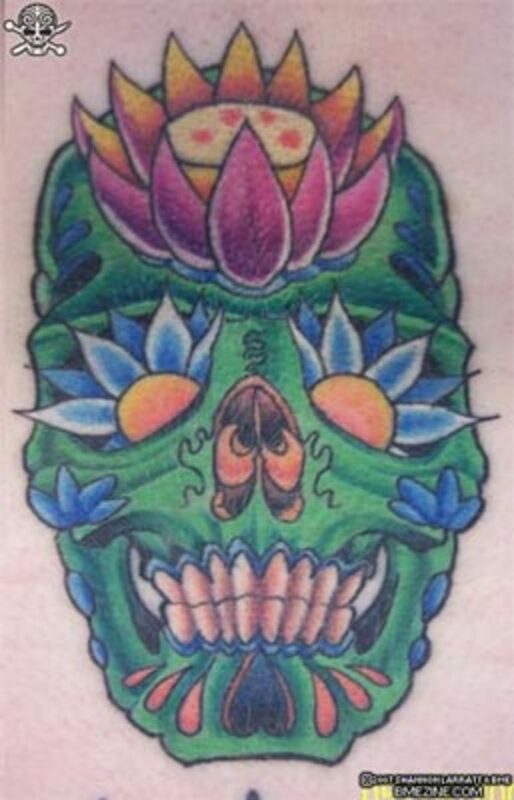 Taking into account the general symbolism of flowers to the personal symbolism, a skull tattoo decorated with and around flowers can mean near infinite things. 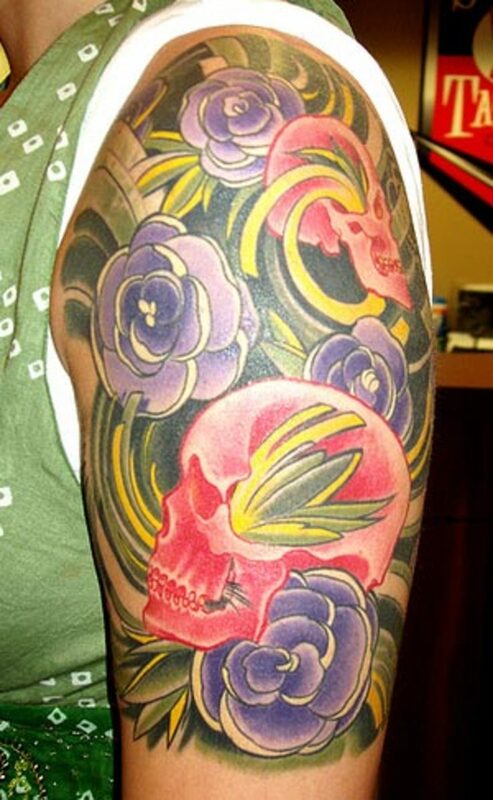 Skulls can be decorated with just about any added theme, design, or characteristic. 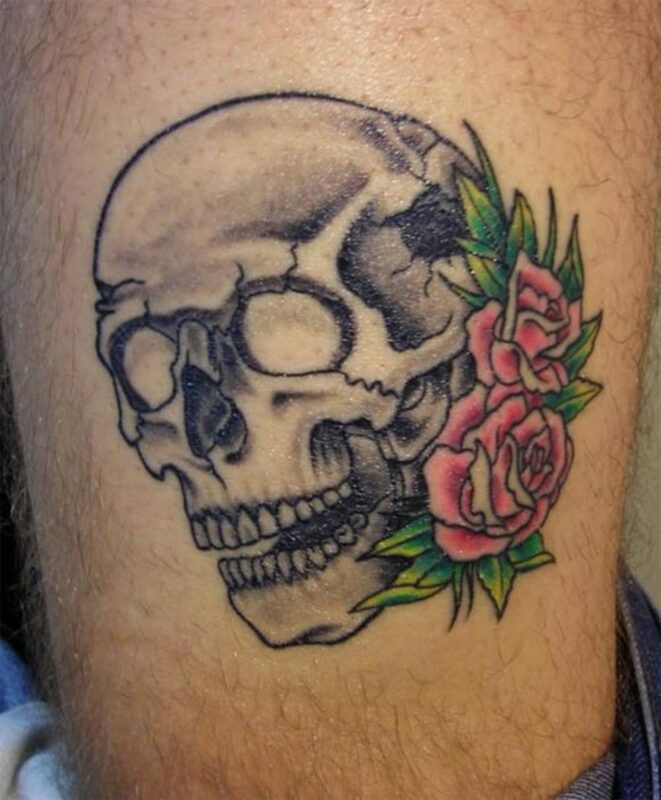 The overall feel of a skull tattoo depends on you. 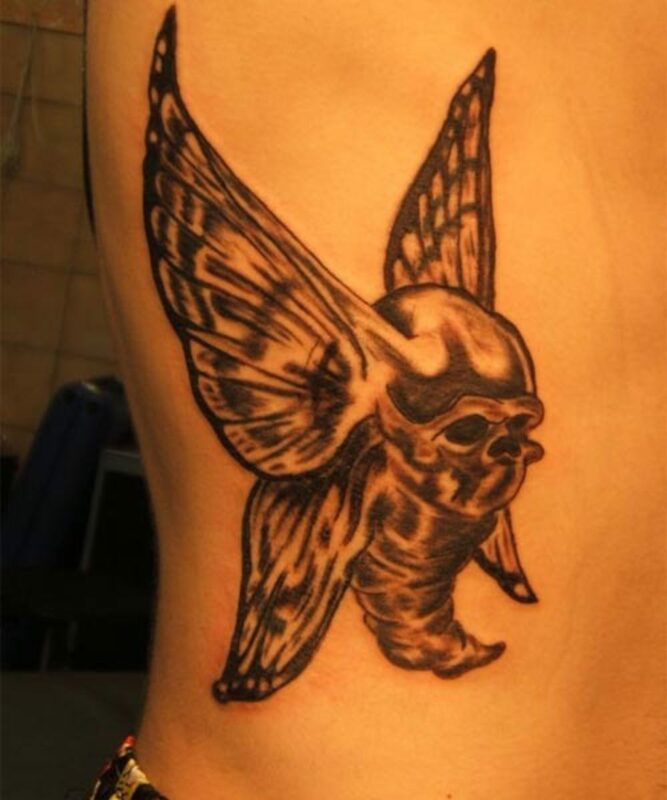 The symbolism in a tattoo is most important, so adding bits and pieces of yourself into the tattoo makes it all the more unique. 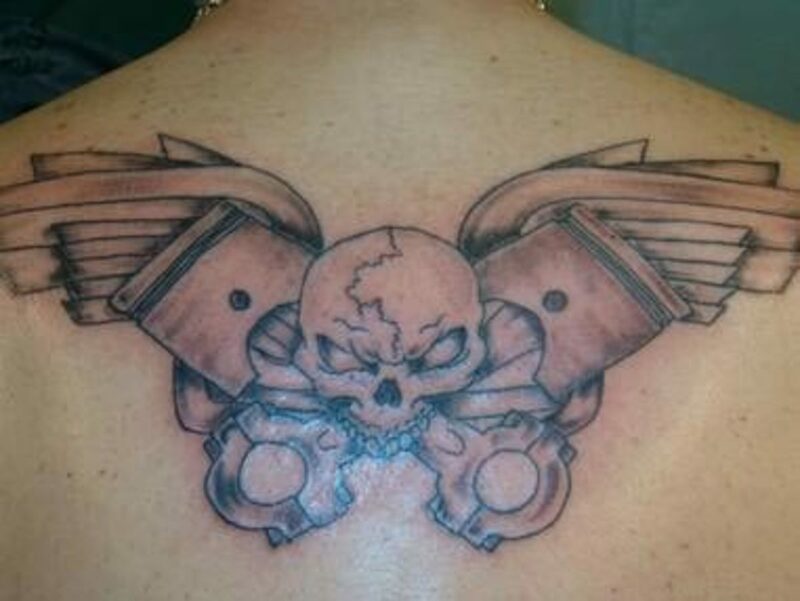 Flowers, wings, hearts, and stars are all common symbols for tattoos. 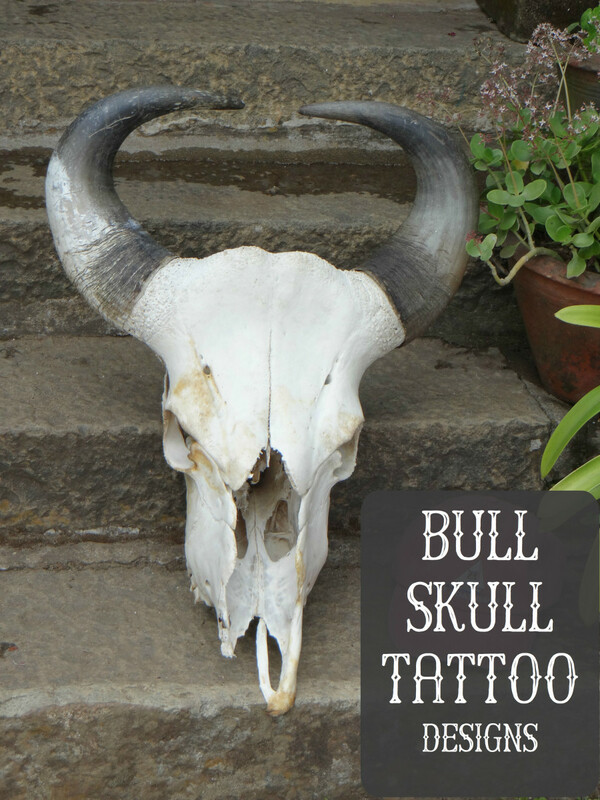 These four symbols are also not uncommonly added to skulls to enhance their visual appeal. 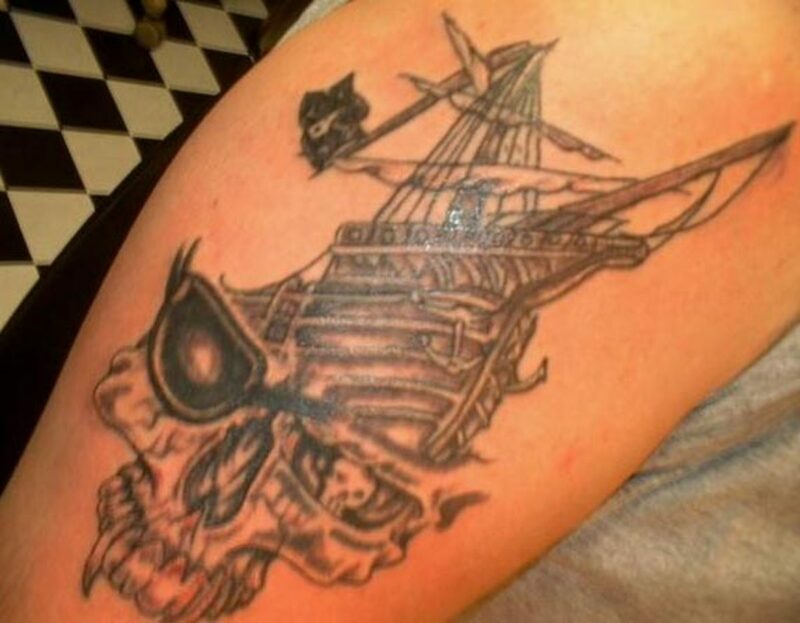 Old school tattoos are those designs that were practiced in the earlier days of tattooing. 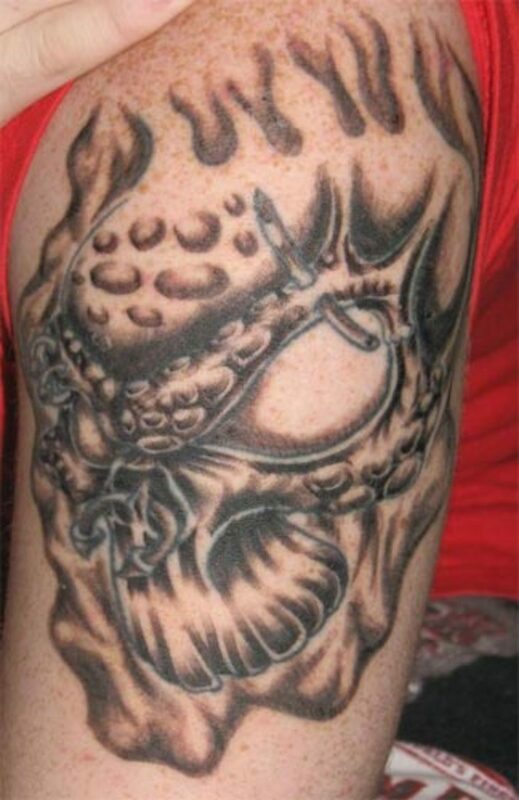 There are many tattoo artists that still specialize in this style of tattoo. 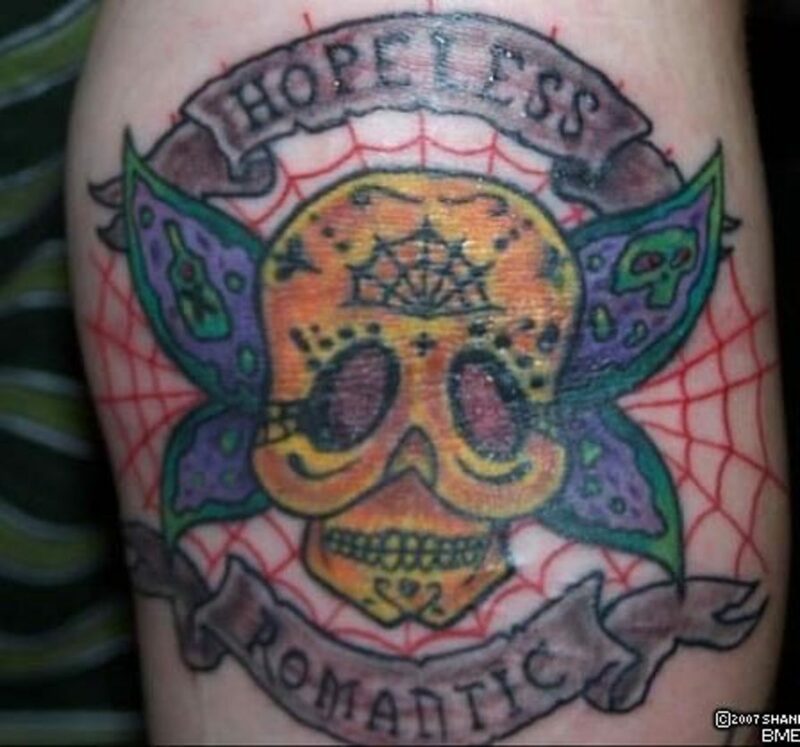 The characteristics of old school tattoos tend to be simple designs with bold outlines. 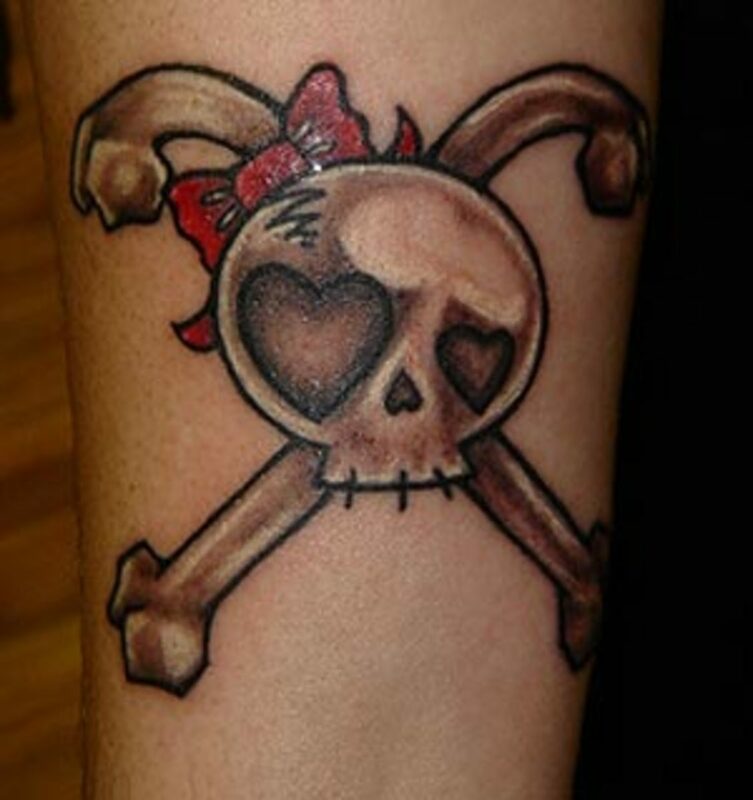 You may see many navy and military symbols, pinup girls, hearts, and other designs with ribbons surrounding a motto, names, or a special date. 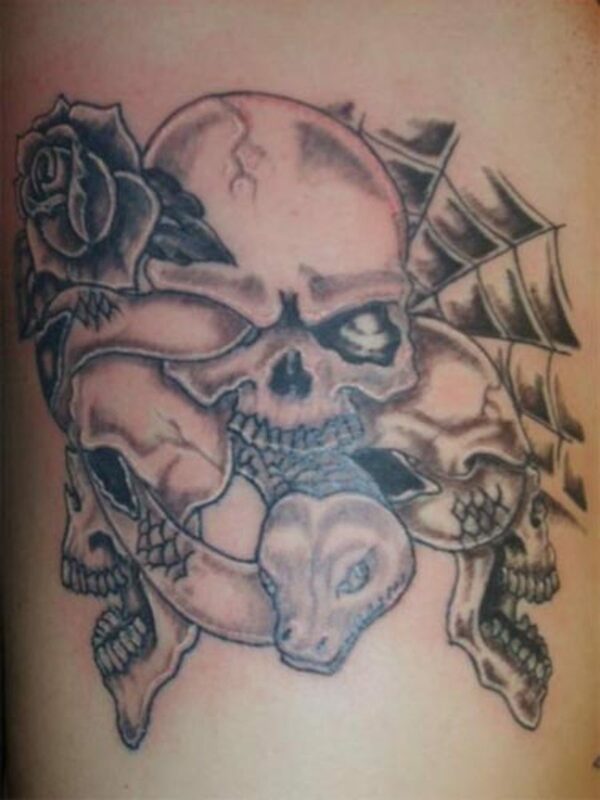 For the most part, a skull is a skull. 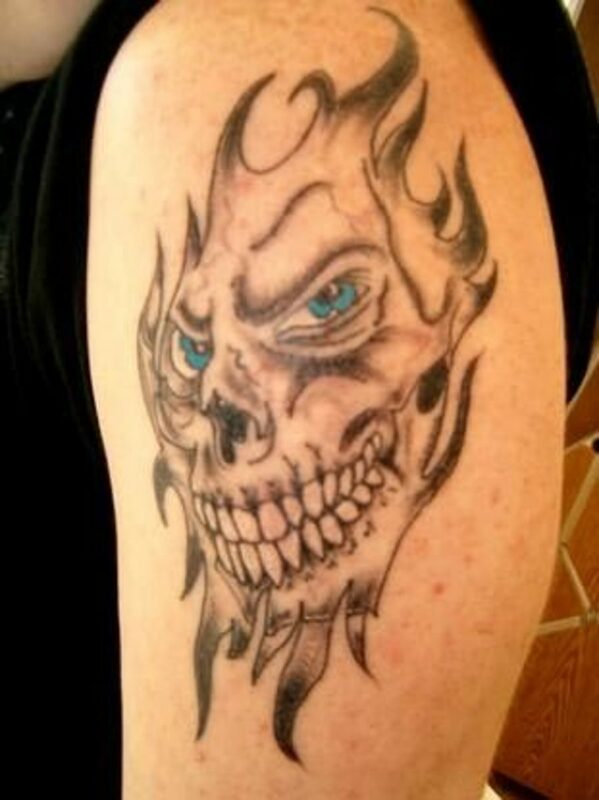 Many current skull tattoo designs are still considered old school tattoos with their bold and simple designs. Encyclopedia of body modification of all sorts. 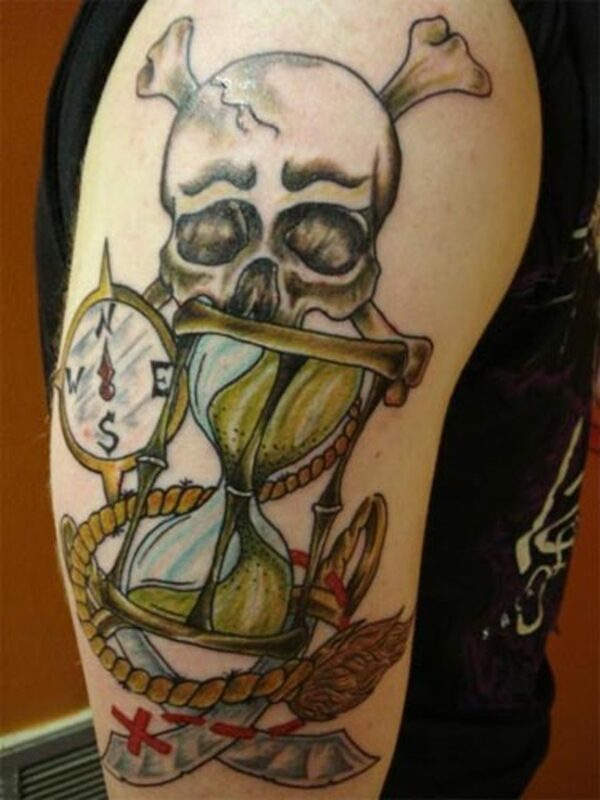 You can visit the User Gallery for more tattoo pictures. 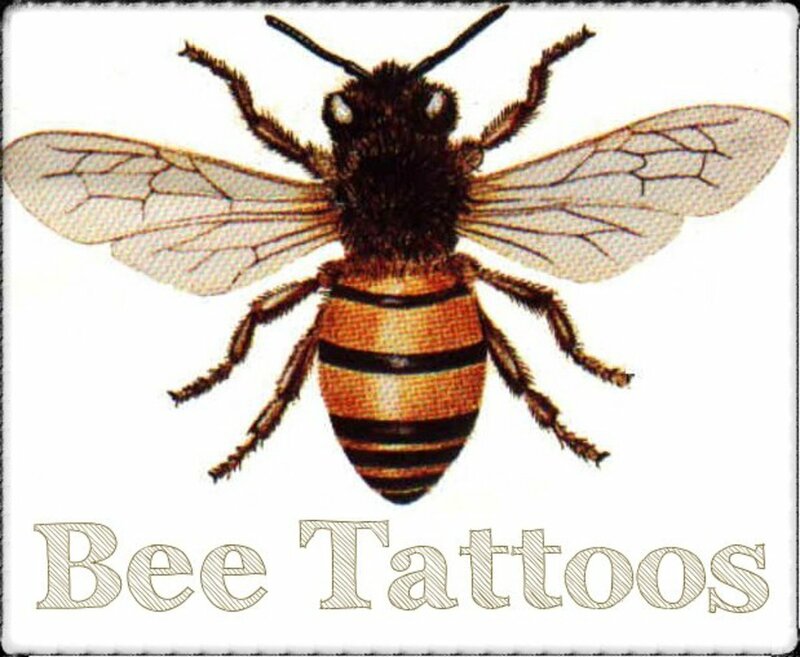 Features tattoo pictures and images, articles, bookstore, yellow pages, and links to tattoo artists and design studios. Vancouver tattoo artist Thomas Lockhart's journey in search of the last authentic tribal tattoo and its documentary. 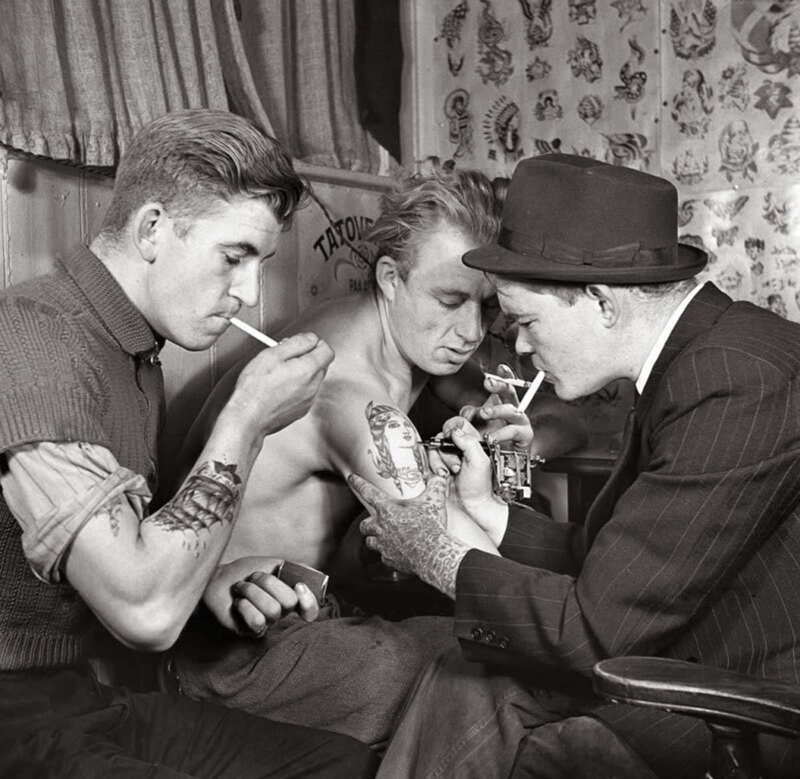 Site features history of tattoos, photos, and more. Pictures without a source are those from BMEzine. 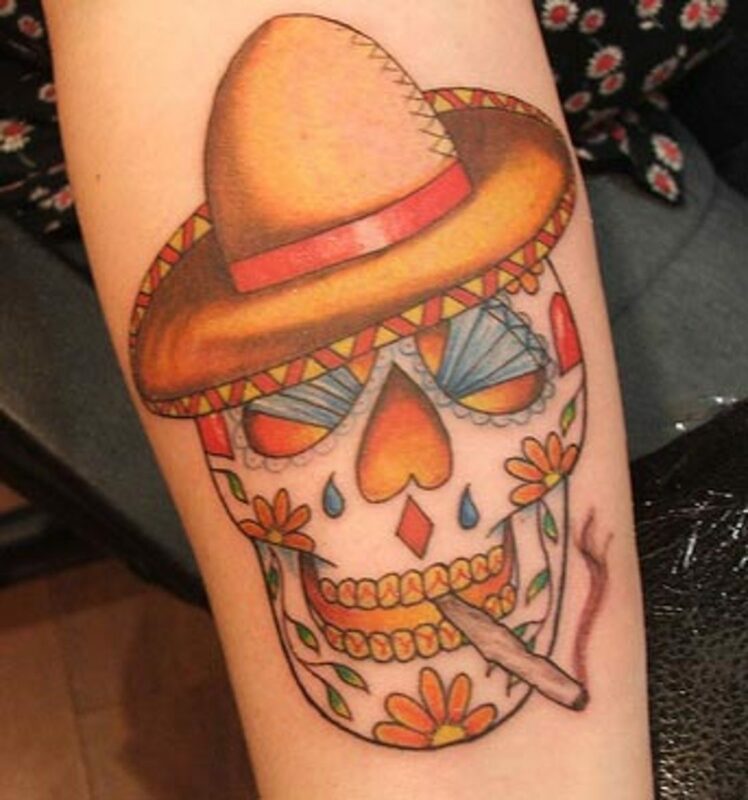 I'm in the process of filling one of my sleeves it's for my son (10) and he really wants a sugar skull. The artist and myself have come up with the idea of taking his school picture and turning it into a dye of the dead/ sugar skull. I'm just looking for some outside input. There are a lot of feelings about the meanings of those skulls. 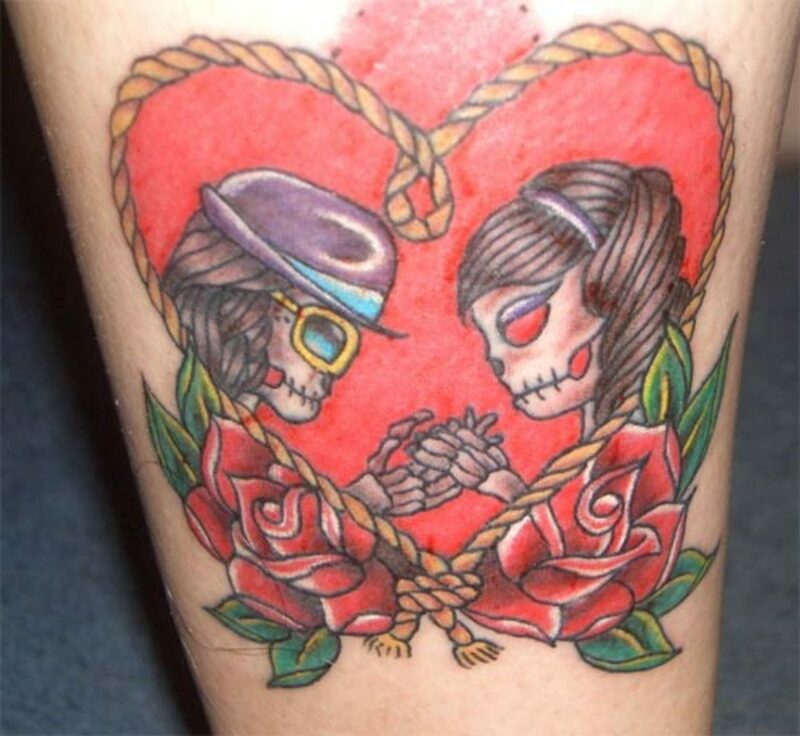 Ah Mike: She doesn't want you man, if a girl inks your name on her skin, you just know that it's a death sentence for the relationship - if it ever happens again you need to run - fast! 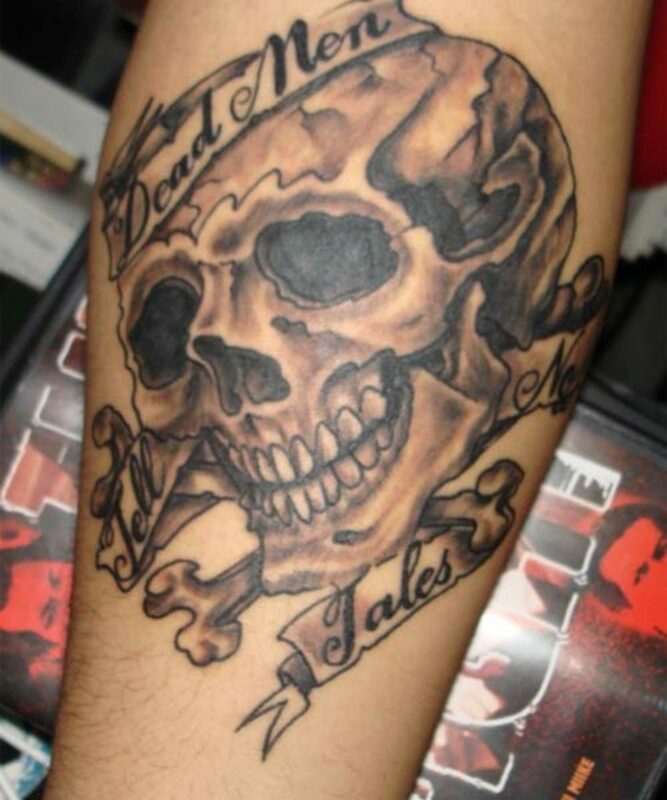 Skull tattoos are awesome! 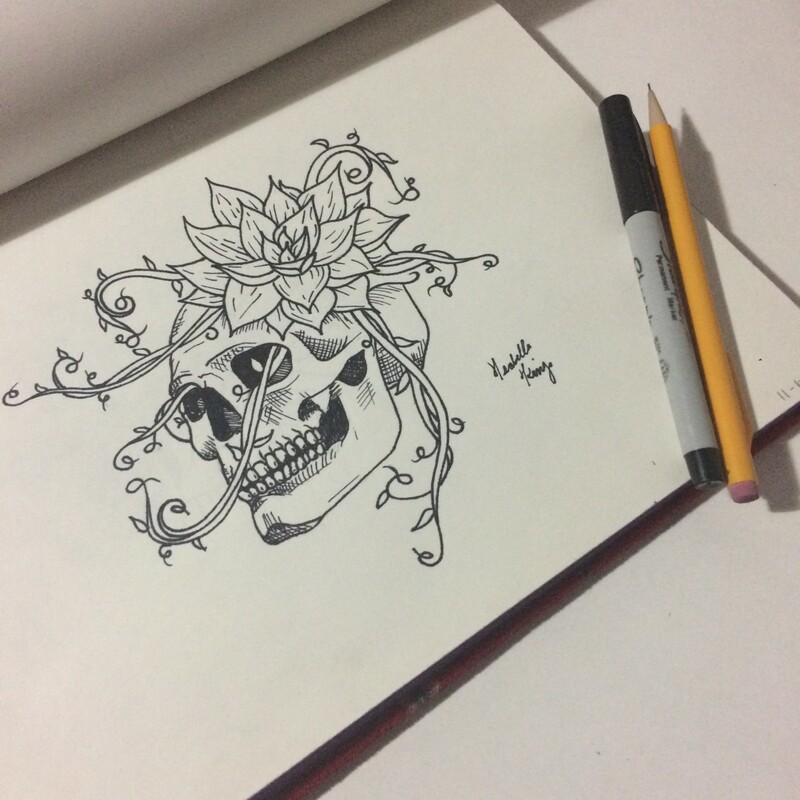 I'm designing my own tatto right now and the inspiring pictures were really cool. I love skulls. To me they represent all the people I have lost and there path to another state of being. There is nothing wrong with skulls. 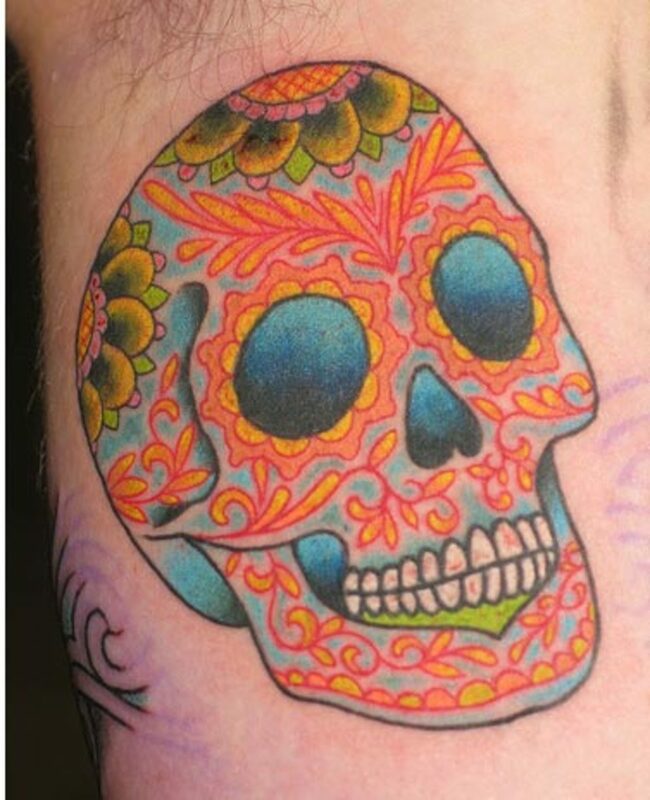 I just got my first tattoo and it is a skull tattoo on my wrist. 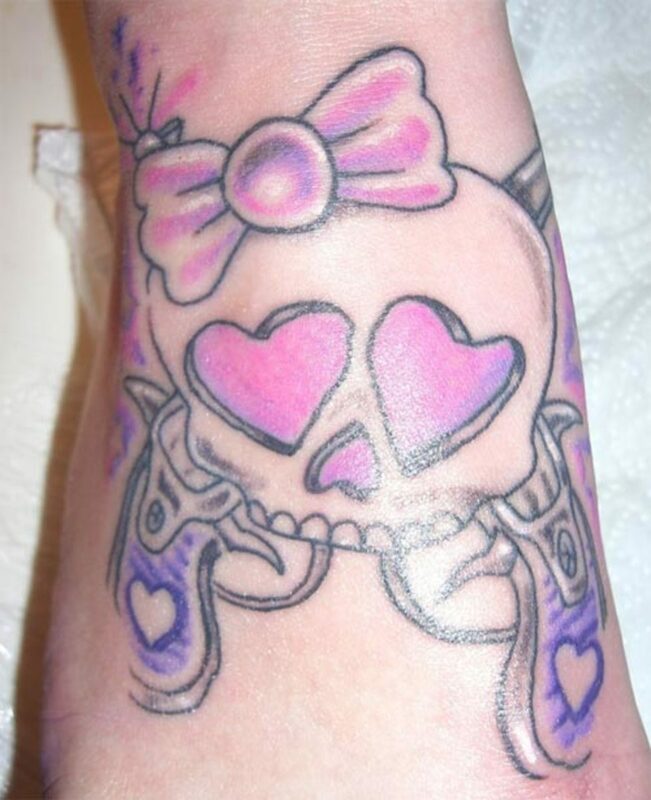 if a girl places your name on there body than covers it with a skull with flowers over it. what does that mean?????? Thanks for all the info. The artistic side is what attracts me but to add meaning and depth is even better. This page is awesome! Way to go. And for those who have a negative comment should take a walk. I think the pictures and the info is phenominal. Nice work. 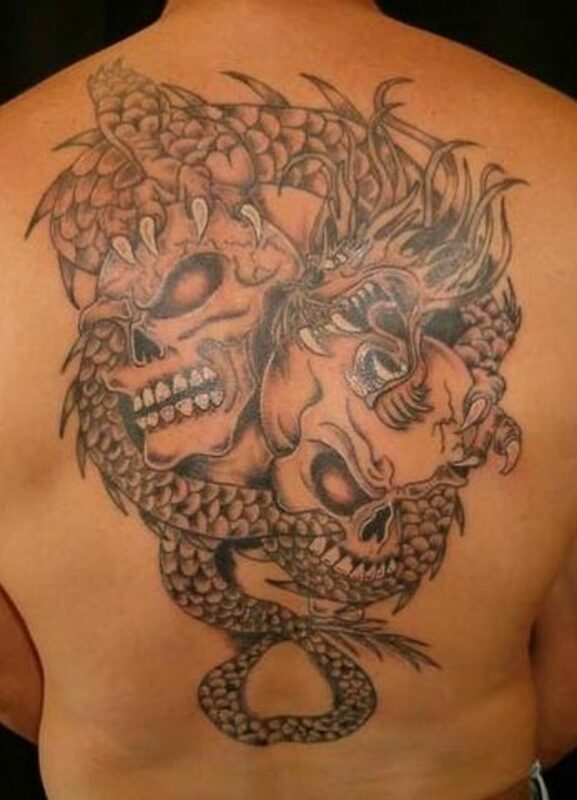 love the tats, i've been looking for a knew tat and i wasn't for sure what i wanted, now that i have came to ur page now i know what kind and how my design will be. i hope u dont mine me taken some of the design on some of them and put them with mine. if not that's cool. thanx's for ur page. Thank you. I really appreciated the comments. I can see why this is one of your best pages. It is awesome. YOu have done a great job of including a lot of picures, text and info about a bunch of different tyeps of skulls. I love this page it is my new favorite! 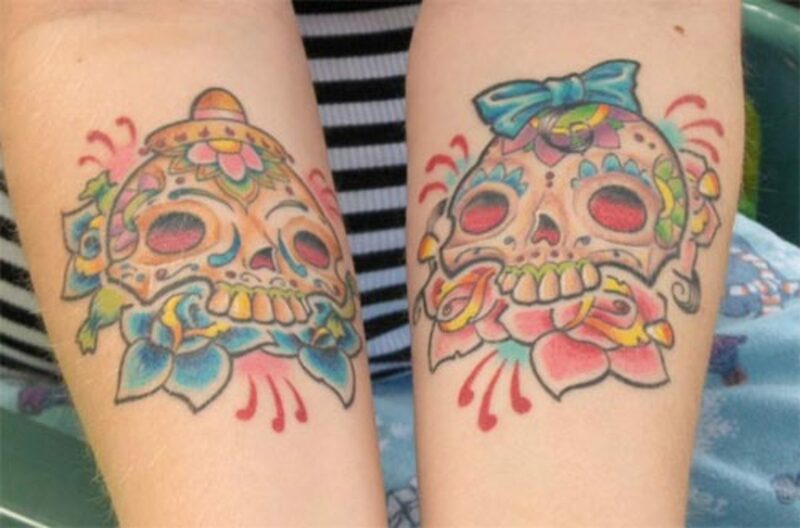 I esepcailly like the sugar skull tattoos. Great hub. I like the pictures and amount of work that went into your hub page. Way to go. 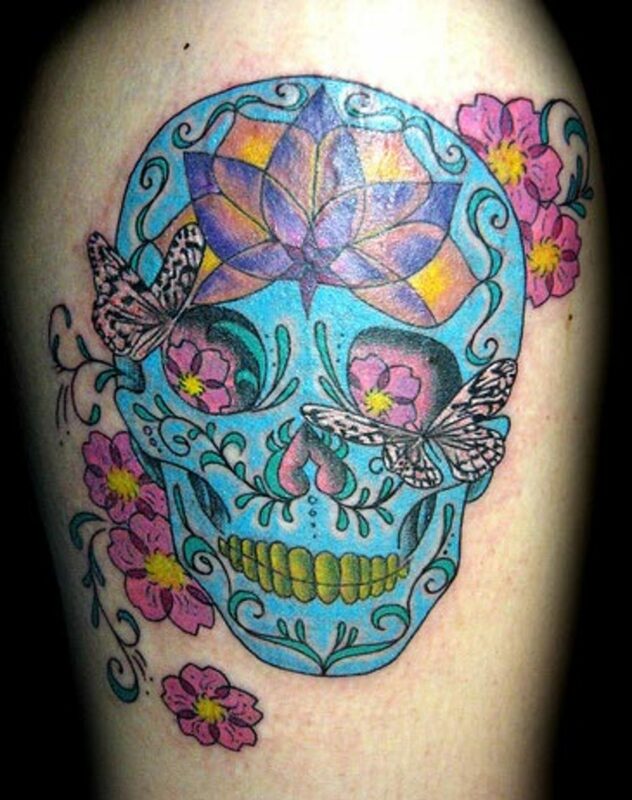 I especially like the Sugar Skulls. Those are awsome.